Cyclelogical was established in 2009, always fully independent and family owned. One of the first shops in the country to offer a live service & repair online booking system, linked directly to our workshop availability. 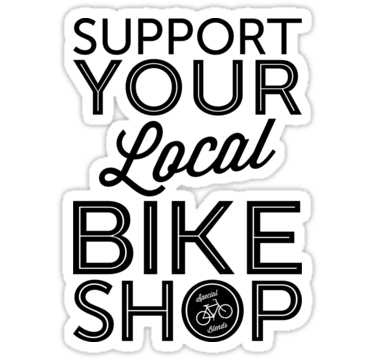 We are very proud of our workshop, it's the beating heart of any good bike shop and are committed to providing the best service around. Our staff are knowledgeable and friendly; buying a bike should always be a pleasurable experience. Our aim is to guide you through the process as simply as possible, so you get the bike you want which best suits your needs, combined with our excellent after sales care & full warranty backup. A concerted effort is made, by us here at Cyclelogical, to support brands that we can honestly say we are proud to stock and that back the UK Cycling industry. We work in close Partnership with Scott bikes. The Scott company is 60 years old and still has it's original independent owners. Scott's mantra of "No Shortcuts" is perfectly aligned with our own core beliefs, so are very proud to have been bestowed the status of "Scott Pro dealer". ​We have a loyalty discount scheme for all customers who purchase a bike from us. We service all of our new bikes at no charge for the first year and offer free lifetime basic bike fit adjustments**. **Free lifetime basic adjustments to improve bike fit, it does not include any required parts.